A unique classic car collection will go under the hammer at Silverstone Auctions sale at Silverstone Classic on July 26th and 27th. The collection is currently owned by well-known and highly successful Midland’s motor industry character, Mike Hewitt. Since retiring in 2011, he has spent his time buying and restoring a wide variety of exciting cars and motorcycles, spanning 90 years of motoring history, that are now offered for sale at Silverstone circuit. Each of the cars and bikes, all with their own unique story, were handpicked by Mike for either their iconic status in the motor industry or simply for happy memories in his life. 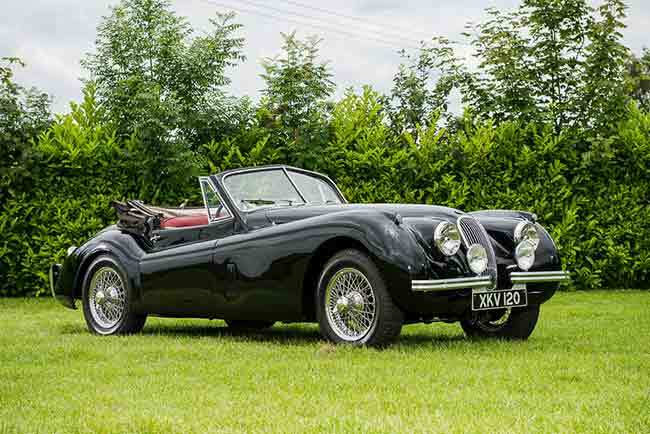 It contains rare models from marques such as Fiat, Porsche, Alvis and MG.
One of the most amazing restorations has been undertaken on a 1954 Jaguar XK120 Drophead Coupe, estimated at between £75,000 and £90,000. Having been bought 12 months ago at the Silverstone Classic Sale 2013, the car has been totally transformed and taken back to its original black paintwork. 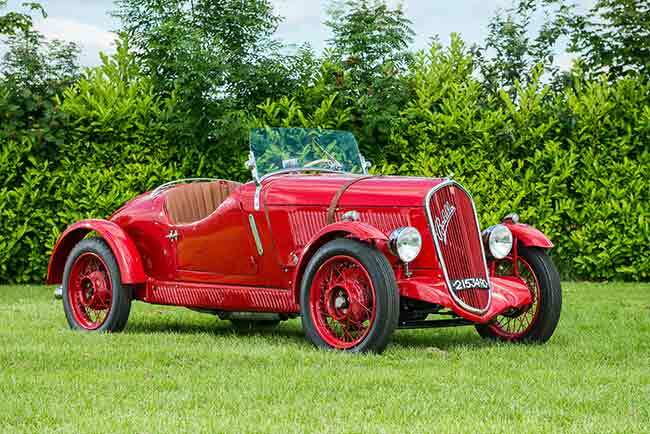 Another car personally restored by Mike is a stunning 1935 Fiat 508 Copa D’Oro Mille Miglia Spyder, estimated at between £80,000 and £100,000. Upon its arrival in the UK, the car was subject to a complete chassis-up restoration, including an engine rebuild. Following the work it received a prestigious invite to compete in the Mille Miglia. Topping the bill is a rare 1940 Alvis 12/70 Competition, estimated at between £100,000 and £120,000. 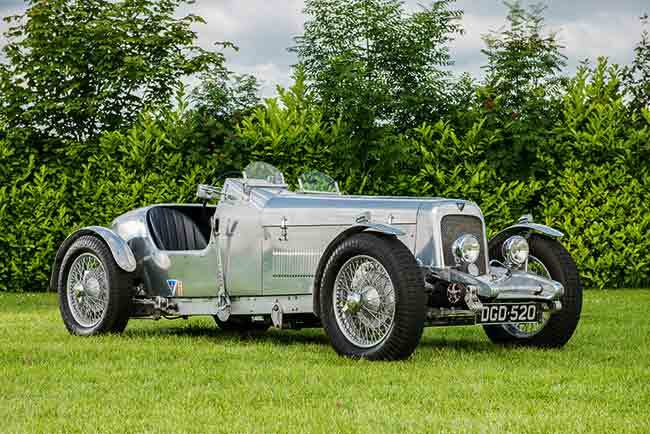 This Alvis was raced in national hill climbs and international races from 2007 by the late Robin Everall. He won at Mallory Park, Silverstone and Prescott and in 2009 won the ‘Ruth Holbert Memorial Trophy’, the top Alvis racing award, with a record number of championship points. Commenting on the collection, Nick Whale of Silverstone Auctions, said: “We’re very proud to be offering this, our first ever private collection, for auction and to play a part in the cars’ histories.”.